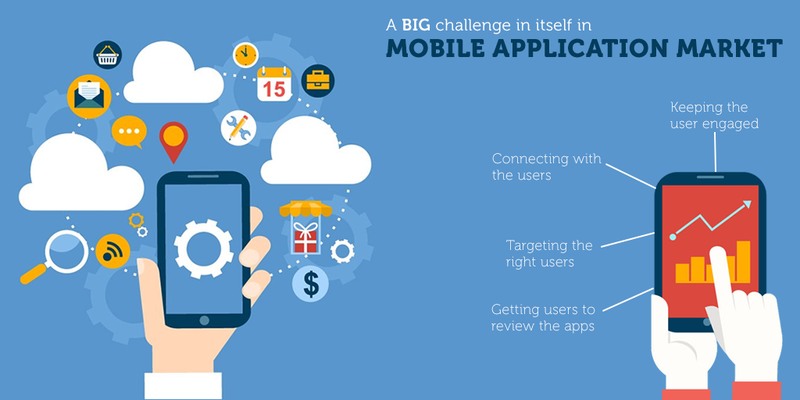 Why is it Important to Define Mobile Application Strategy for Steady Growth in Business? Remarketing with Facebook: How Much it is Helpful in Customer Acquisition for your Business? Statistics have shown that mobile usage has overtaken the desktop usage. The smartphone adoption is rapidly growing across the globe and so does the need for applications. The present times have become equally exciting and challenging for the businesses who want to go online and for the app developers who want to create a long lasting app for these businesses. The actual challenge is in satisfying these mobile app users or customers whose expectations have increased manifold. Well, let’s see what are the challenges related to these users. Connecting with the users: This point is crucial in any given market conditions and when talking specifically about the mobile app market, innovation and creativity are the only ways to survive the rapidly changing situations here. The developers have to really concentrate on the details of the app to make a positive first impression on the users. Developers need to think beyond the user-friendly design and interactive features to create long connections with the users. Look at your competitor’s app to see what interesting or unique they are providing. Work better on the same lines, pay attention to the smallest of the issue or reviews and win the loyal users for life long. Keeping the user engaged: It is the most prominent challenge cited often by developers where they say that users engagement falls sharply over the period of time. Only 24% of consumers continue using an app even after three months from its download. Users quickly switch to another new app in the market making it a lesson for developers to focus on user engagement and usage pattern more than on downloads. Some of the techniques to improve the user engagement and retention are integrate the social buttons like FOLLOW or LIKE on social networks as follow is the most common feature used by users. Where direct social integration does not make sense, push notifications really works. They really catch users eyes on the mobile screen. Another retention technique is the gamification technique which basically rewards the users for achievements or for inviting other users. For example, you get 250 MB free storage space, each time you invite a user to dropbox. So, in all developers need to be creative in building value for users in order to retain them. Targeting the right users: This becomes another most challenging situation for developers where catching on the right users really becomes a task in itself. The app store, for example, provides no information to the developers about the existing or potential customers. It has little incentive to share customer data with the app developers and therefore the developers marketing potential is hampering. In the age where customer information is a key source of competitive advantage, the inaccessibility of customer information by developers will remain a thorny issue. But then with all the wisdom of app developers, it is quite impossible to keep waiting for app stores to fix the problem. It is only to the developers who keep trying to reach out for different solutions via cross promotion, blogs, forums or any other way to discover their right targets soon. Getting users to review the apps: Last but not the least, 30% developers have reported that the post-launch challenge is to get the users to review the app. Most of the users go for Remind me later option when the review window pops up while using an app. But at the same time, developers have also told that there have been success stories also of getting the app reviews after a lot of nagging. Thus, it can be said that getting the reviews from the users is more of luck than science. How does Branding Help to Drive Customer Journey?